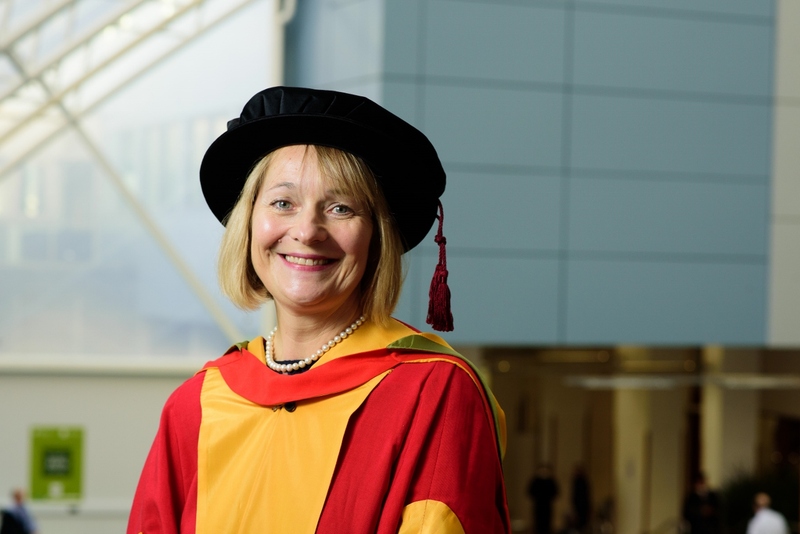 The University of Bradford honoured six national and international figures with honorary degrees and honorary fellowships at its graduation ceremonies in its Great Hall. 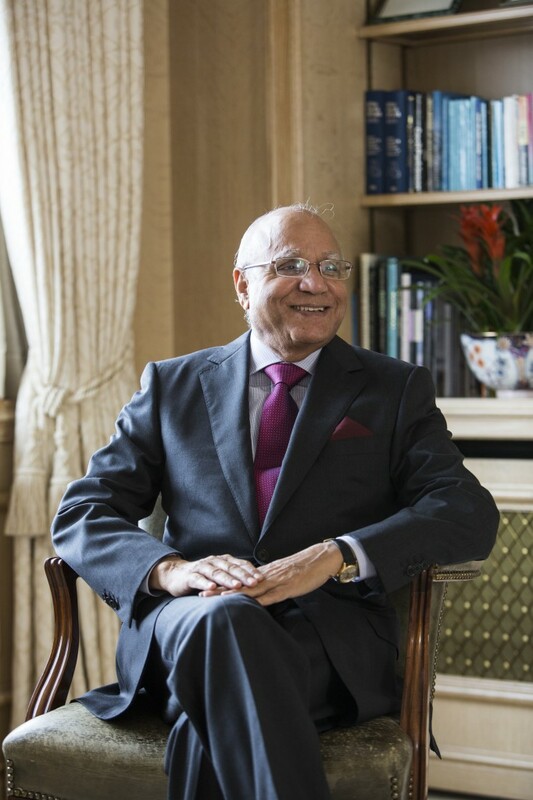 One of those honoured was Nirmal Singh Sekhon MBE, a businessman who has set up numerous businesses over the years, including the Sekhon Group which owns over 800 properties. Mr Singh is the epitome of a rags to riches success story. After arriving in England from India at age 15, Mr Singh with the assistance of his wife Harmesh Kaur, set up ‘Nirmal Razai Mart & Company Ltd’. The bedding company, which soon employed over 100 machinists mainly women working from home, stocked its products in just under 700 outlets in the country. It was well-known for its floral patchworks quilts. 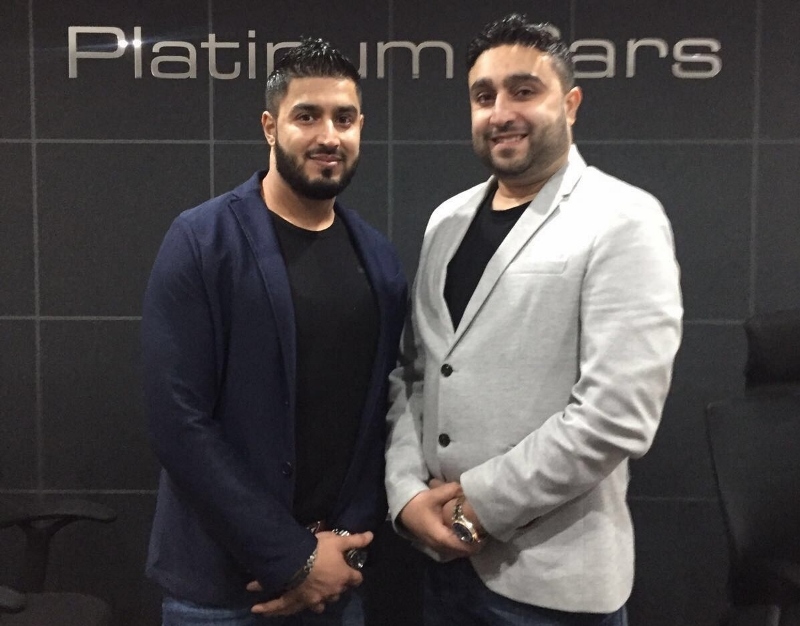 With the growth of his business, Mr Singh began to invest surplus funds into property, and by 1994 the property portfolio had overtaken his textile empire. Son Iqbal Singh Sekhon, a solicitor, joined his father at the helm of the business. Now the group holds some 800 commercial and residential tenants and is the biggest single landowner of Little Germany in central Bradford. 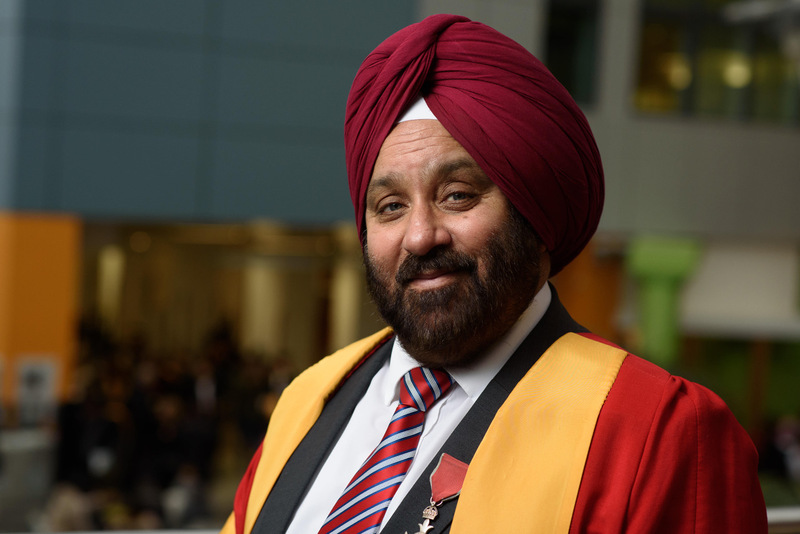 In 1999 Mr Singh was awarded an MBE for services to community relations in Bradford. He also acts as a spokesperson between Bradford’s communities and public sector bodies such the Police, Fire Service, Bradford Council and the Department for Education. Using his expertise and resources, Mr Singh has supported other entrepreneurs by regenerating disused mills in Bradford to create jobs and spaces for start-ups to thrive. He works with a range of charitable organisations, including local housing and health charities. 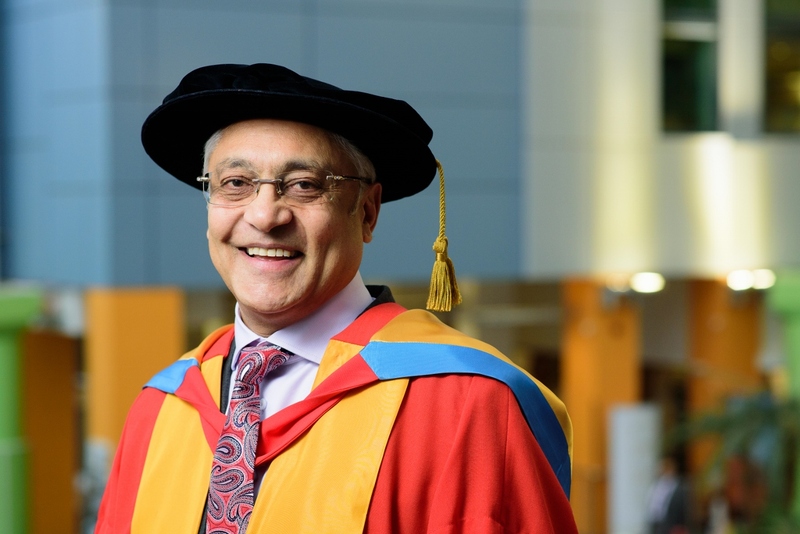 Also receiving honorary degrees from the University of Bradford were Vicky Bowman, Professor The Lord Patel of Bradford OBE, Professor Dame Sally Davies, Naomi Climer and Professor The Lord Darzi of Denham OM KBE. Victoria Jane Bowman has been the Director of the Myanmar Centre for Responsible Business, an initiative to encourage responsible business throughout Myanmar (Burma). Vicky has acted as Director of Global and Economic Issues and G8 sous-Sherpa for the United Kingdom, and as Head of the Southern Africa Department in the Foreign and Commonwealth Office. She served as the British Ambassador to Myanmar for four years, and is an Honorary Fellow of Pembroke College, Cambridge. Professor Patel, Baron Patel of Bradford, has worked at the highest levels of government in a wide range of policy areas. He has been on a number of boards and committees, including the Healthcare Commission, the National Treatment Agency for Substance Misuse and the Care Quality Commission, and has been Chair of the Mental Health Act Commission, and Chair of Bradford Teaching Hospitals NHS Trust. He has been a leading voice on health, social care and community cohesion, and has brought about developments between UK statutory, voluntary and business organisations and with other countries to realise real benefits for local communities. 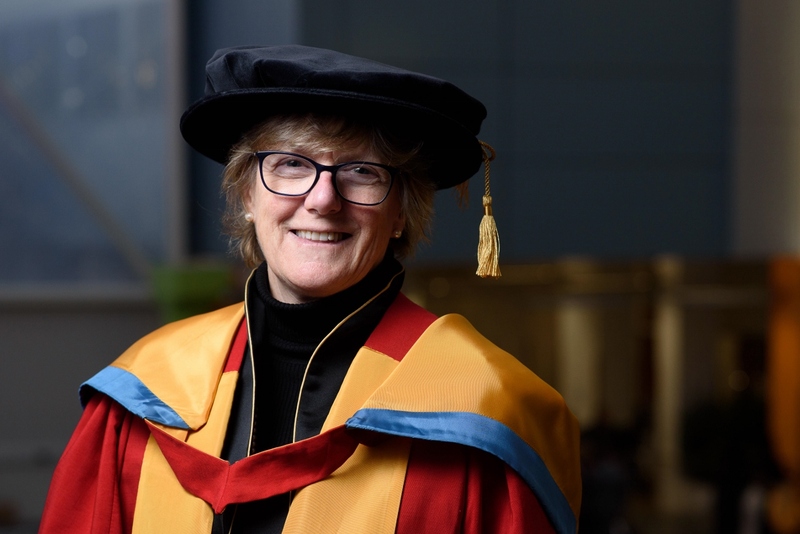 Dame Sally Davies became Chief Medical Officer for England and Chief Medical Adviser to the UK Government in March 2011, and is also Chief Scientific Adviser for the Department of Health. 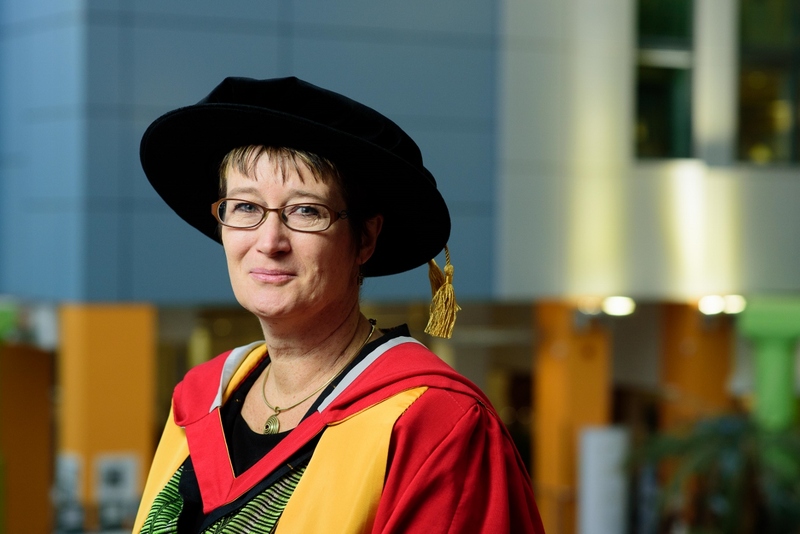 Sally has represented the UK internationally at World Health Organization summits. In March 2013, Dame Sally published a report on infectious diseases which brought to light the increasing threat of antimicrobial resistance, calling for national and international action. Since then, Sally has advocated globally on this topic, speaking at the G8 Science Ministers’ meeting and the Global Health Security Initiative in Rome. Naomi is an engineer who has spent her career working in the broadcast and communications technology industry. She has held numerous high-profile roles such as past President of the Institution of Engineering and Technology (IET), Governor of the National Film and Television School (NFTS), Trustee of the Royal Academy of Engineering, Chair of the Council of the International Broadcasting Convention (IBC), and a consultant with the Board of Sony’s UK Technology Centre. Naomi also sits on the UK Government’s Science and Technology Awards Committee. 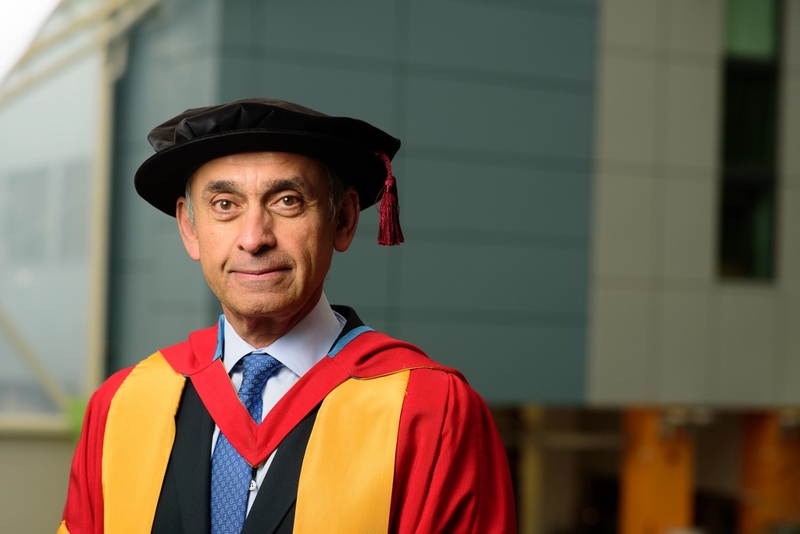 Professor Ara Darzi holds the Paul Hamlyn Chair of Surgery at Imperial College London, the Royal Marsden Hospital and the Institute of Cancer Research. He is Director of the Institute of Global Health Innovation at Imperial College London. His contribution has been outstanding, publishing over 800 peer-reviewed research papers to date. He was elected as an Honorary Fellow of the Royal Academy of Engineering, a Fellow of the Academy of Medical Sciences, and in 2013 was elected as a Fellow of the Royal Society. He was knighted for his services to medicine and surgery in 2002. 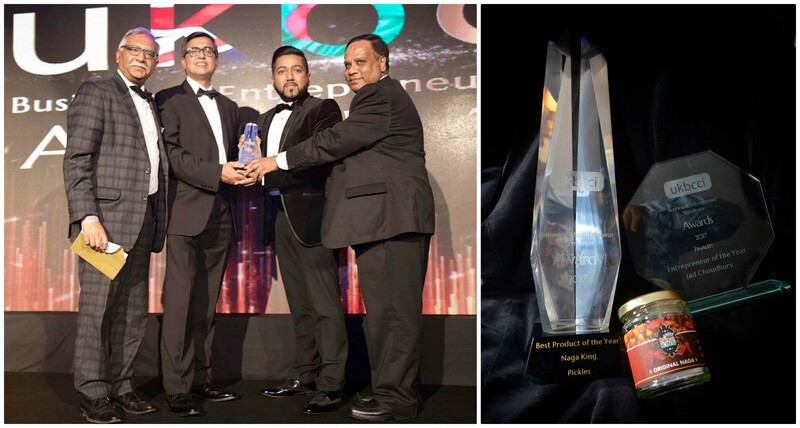 Leeds businessman Jad Choudhury, has been nominated for two prestigious awards by the UKBCCI for his Naga King product. Walking away with one of the top awards on the night. He was nominated as a finalist for two categories at the event which had thousands of hopefuls and it was an incredible feat to be nominated, staving off some tough competition. Jad was nominated for ‘Best product of the year’, for his Naga King. As well as being nominated ‘Entrepreneur of the year’, as part of the Innov8 group. Jad managed to beat of some hot competition to walk away with the ‘Best product of the year award, for his Naga King. A rare feat for the Leeds businessman with most of the awards going to London based companies and businessmen. Jad was handed his award by MP Amjad Bashir who is the Conservative member of the European Parliament for Yorkshire and Humber. The award-winning Naga King product is a Naga Pickle that uses the hottest chilli, the Dorset Naga and comes in three products. Jad has been developing his prize-winning pickle since 2013, and was launched in the summer of 2017 after perfecting his recipe. The product has received an incredible response, with CEO of Innov8 Jad Choudhury’s hands on approach proving crucial. Based in Leeds he works at grassroots levels to ensure that the business flourishes. Their marketing plan was heavily social media based to spread the word, all customers were allowed to sample the three Naga King flavours; Shatkora, Carrot and their original Naga flavor. Using the hottest chilli in the world found in Bangladesh found in Bangladesh. The new chilli sauces are guaranteed to liven up your taste buds, and are a must for all chilli lovers. 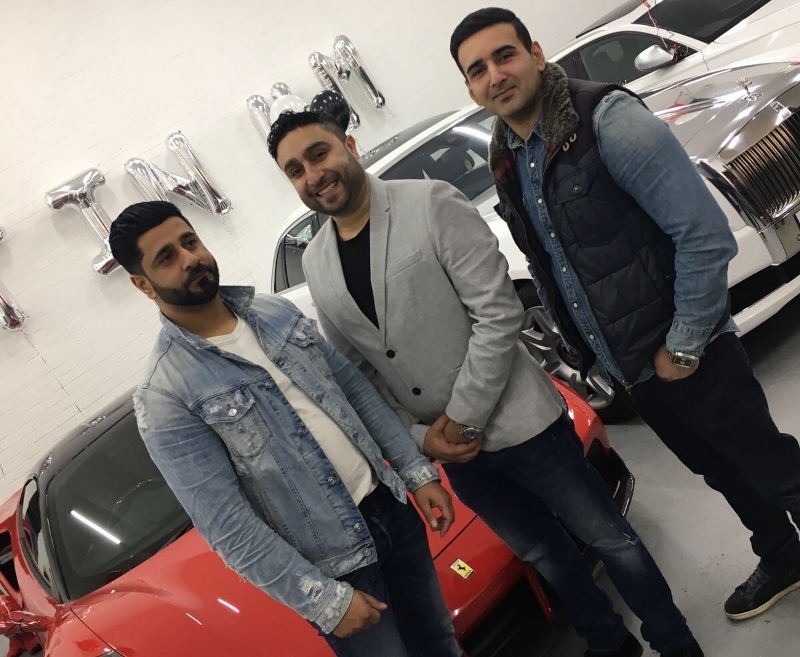 A qualified builder from Leeds who’s been in the trade for 13-years has now revved up enough initiative to start his very own supercar hire empire. 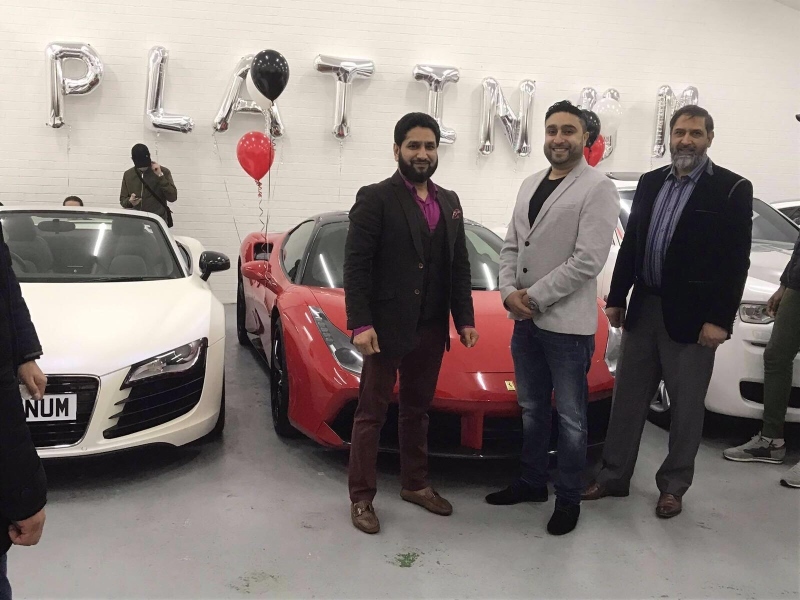 Akhtar realised a gap in the market for car-enthusiasts who want access to a luxury vehicle without the fuss. 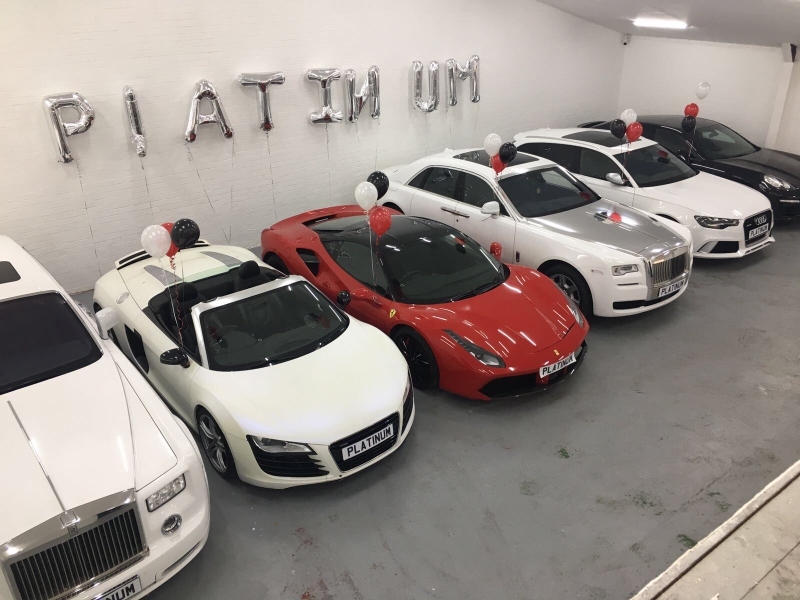 Whilst there are many hire car companies around the UK and West Yorkshire, what differs Platinum from the others is having the latest fleet of luxury super cars and quick and easy access to anyone wanting this type of car and even offers an afterhours service. “My passion for top end cars came with my first purchase at 21 – I bought a Ferrari 360 Modano in silver,” says Akhtar. 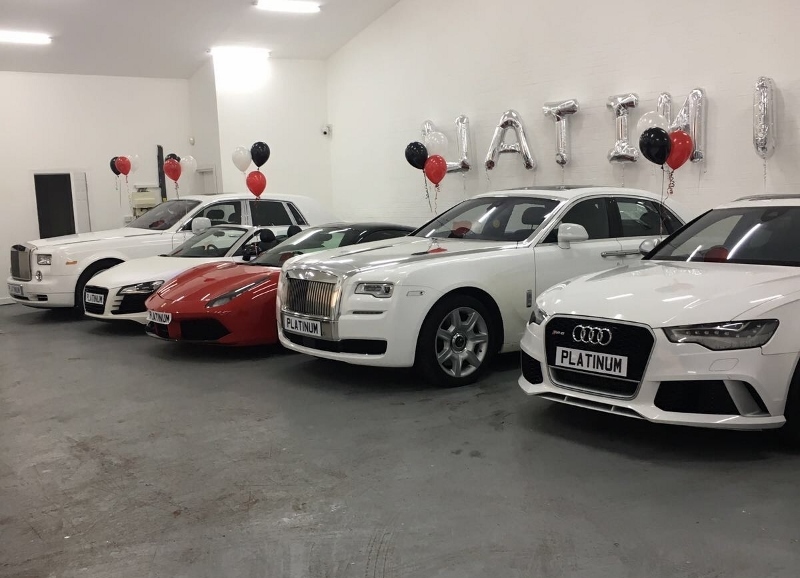 Vogue, Audi Q7, Mercedes E Class and Mercedes S Class and many more, and are constantly updating their fleet to provide access to the best and most exclusive luxury cars on the market. The family of a Birmingham businessman shot dead during an armed robbery have paid an emotional tribute to the West Midlands Police officers who battled to try and save his life. Sergeants Richard Nutt and Julie Kempson, plus PC Matt Moore, were first on the scene of the warehouse raid in Digbeth where Akhtar Javeed had suffered gunshot wounds to his leg, chest and face. The officers administered first aid in a bid to stem the blood loss and performed CPR for around 30 minutes while paramedics performed advanced trauma care. PC Moore then ‘blue lighted’ the ambulance to hospital in order to free-up the driver to treat Mr Javeed in the back of the vehicle. Grandfather Mr Javeed sadly passed away in hospital shortly after the 3rd February attack and three people were later jailed for a total of almost 40 years for their part in plotting and carrying out the robbery. 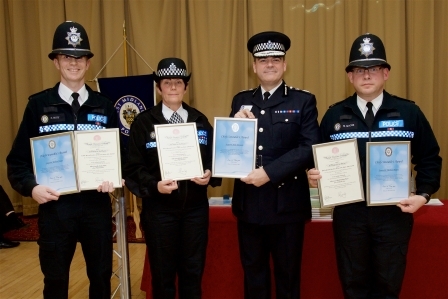 In recognition of their efforts, the three officers were awarded a special certificate on behalf of the Royal Humane Society at an awards ceremony on Thursday 1st December that was attended by several of Mr Javeed’s family. 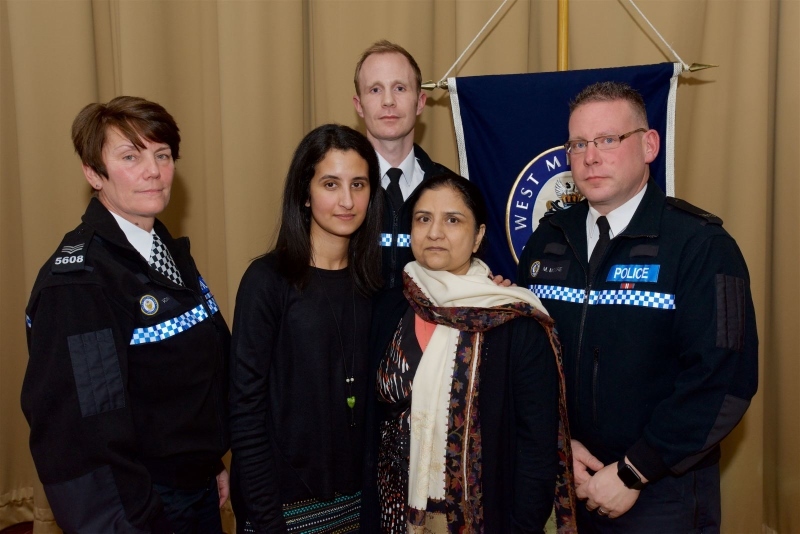 Mr Javeed’s daughter, Lilas, said: “We wanted to be there in person to thank the officers for the selflessness and care they showed my father; they went above and beyond in trying to save his life. “Without a second thought they put themselves in potential danger not knowing if armed robbers were still present. “But most of all they showed him love and care in what turned out to be his last moments, after he had experienced such cruelty. They were there for him when we were not able to be…and it helps us to know he was not alone in his last moments. Sgt Julie Kempson said the scene that confronted her and colleagues on the day had deeply affected them - and that talking to Mr Javeed’s family since his death had helped. She added: “None of us think we were brave…we did our job and tried desperately to keep Mr Javeed alive. We alternated CPR between us for around half an hour…I’m just sorry Mr Javeed didn’t pull through. West Midlands Police is working with authorities overseas to trace and bring Tahir Zarif - the man suspected of shooting Mr Javeed during the raid - back to the UK to face justice. It’s understood Zarif fled the country to Pakistan following the shooting. Anyone with information on his whereabouts is urged to contact West Midlands Police on 101 or Crimestoppers anonymously, on 0800 555 111. 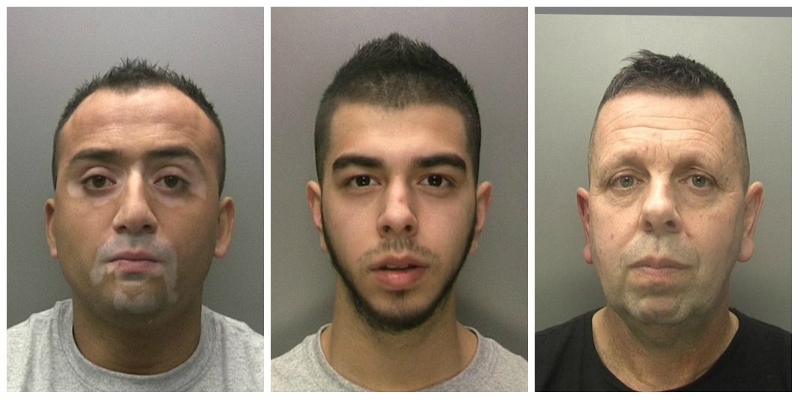 Three men have been jailed for almost 40 years for their involvement in an armed robbery that led to the death of a Birmingham businessman at his factory in Digbeth earlier this year. 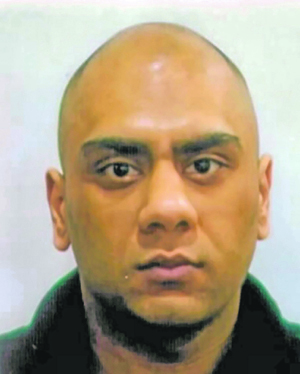 Suraj Mistry, 26, was found guilty of the manslaughter of Akhtar Javeed and sentenced last week to 23 years in prison. He was also sentenced to 20 years conspiracy to commit robbery and eight years for possession of firearms to run concurrently. Lamar Wali, 19, was found guilty of conspiracy to commit robbery and sentenced to seven years in prison. Sander van Aalten, who was an accomplice in the planning of the murder, pleaded guilty to conspiracy to commit robbery and was sentenced to six years and eight months. Mistry and Wali together with Tahir Zarif travelled from Derby to raid Direct Source 3 on Rea Street in Digbeth back in February this year. But the raid went horrifically wrong as they threatened the manager, Mr Javeed (56), to give up the company’s takings. While Mistry held staff hostage at gunpoint Zarif led Mr Javeed from the office into the reception where he shot him in the leg as a violent warning to open the safe. After being shot Mr Javeed attempted to escape and during the ensuing struggle was shot a further two times at point blank range in the mouth and neck. Bravely, he managed to escape before stumbling across the car park to the pavement where he collapsed and died in a pool of his own blood. The men immediately fled the scene in a Renault Megane, picked up a second car nearby and then returned to Derby. Detectives painstakingly trawled CCTV to piece together the sequence of events in the hours before and after the robbery, corroborating the images with mobile phone data and ANPR captures. The jury heard how Sander van Aalten, a Dutch national − a former disgruntled employee at Direct Source 3 - drew a plan of the warehouse for his co-conspirators so they knew exactly where to go once inside. The evidence showed that he was in contact with the offenders as they carried out reconnaissance of the warehouse in the days before the attack and used a premises he was working at as a meeting point just before and immediately after the botched robbery. The court heard that the man who is thought to have fired the fatal shots was Tahir Zarif, who fled the country to Pakistan days after the offence. A businessman from Kirklees has been sentenced to two years and three months in prison after becoming the first business owner in the UK to be convicted of a human trafficking offence. 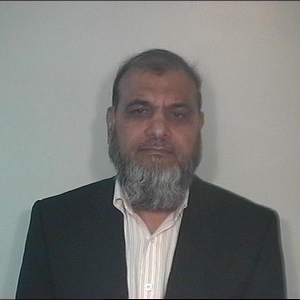 60-year-old Mohammed Rafiq, of Thorncliffe Road, Staincliffe, Batley, was convicted following a trial at Leeds Crown Court of conspiracy to arrange or facilitate travel within the UK for exploitation. The case came off the back of the sentencing in May 2014 of Hungarian nationals, Janos Orsos and Ferenc Ille, to five years and three years’ imprisonment respectively for human trafficking offences. Their offending came to light after one victim, who had left West Yorkshire, made contact with charity Hope for Justice who in turn contacted West Yorkshire Police. Following the sentencing of Orsos and Illes, officers launched a further investigation in to the companies that employed the victims trafficked in to the UK by the pair to determine any liabilities held by them. Rafiq was arrested in October 2014 and charged in November 2014. Ten victims gave statements during the trial saying they had been trafficked in to the country and put to work at either the Kozee Sleep factory in Ravensthorpe, Dewsbury, or the Layzee Beds factory in Batley. 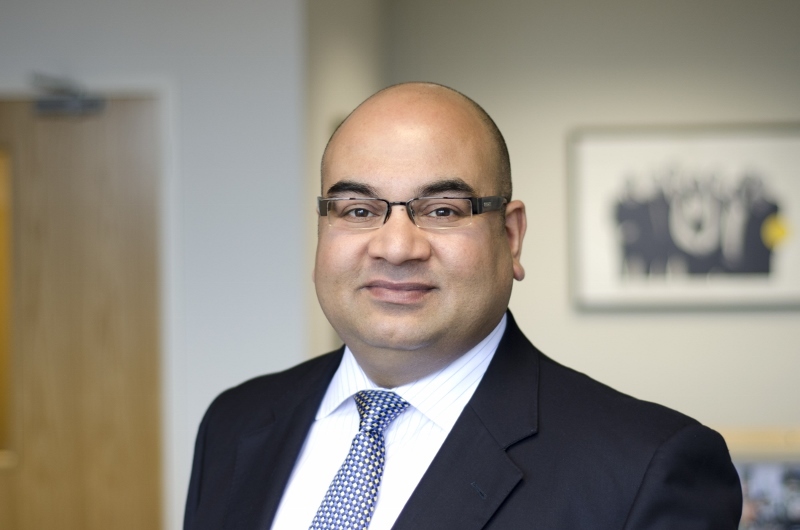 Both companies come under the parent company Hick Lane Bedding which Rafiq is owner and managing director of. A number of the victims told police officers that Rafiq was aware that their wages were being paid to Orsos, with him then paying the men around £10-a-week pocket money. Several of the victims said they spoke to Rafiq about this and asked to be paid directly but were told to take it up with Orsos. An industrial accident took place at the Layzee Beds factory in May 2012 involving one of the Hungarian workers who was ordered to use a forklift truck to take a waste bin outside to empty. The pulley device was missing so he had to climb up to empty it manually. As he did so he fell and the waste bin fell on top of him, crushing his left foot which had to be amputated at hospital. The victim was later told by Orsos that he had managed to get £15,000 from Rafiq as compensation for the accident, the majority of which was kept by Orsos with a smaller amount paid to the victim. The incident was not reported to the Health and Safety Executive. Rafiq is also owner of Hick Lane Properties which owns a property called Gothic House in Batley where a number of the Hungarian workers were housed. A Housing Solutions Officer for Kirklees Council along with West Yorkshire Fire and Rescue Service visited Gothic House on 19th April 2011 and determined that there were in excess of 45 people living at the address. They saw a large number of residents at the property and a large number of mattresses. The following day, an emergency prohibition order was served on the property. In a statement given to the police, one of the victims states that he lived at Gothic House for two to three years and that there were 53-54 people living there with 14 in his room. He heard that Orsos was paying Rafiq £600 per month rent. A number of victims gave accounts of Rafiq visiting Orsos at Gothic House; therefore he would have been aware of the living conditions. Detective Chief Inspector Warren Stevenson, of Protective Services Crime, said: “We don’t want this to be the experience of anyone living and working in this country. The daughter of a missing Bradford businessman who vanished almost nine years ago, has spoken about his disappearance for the first time. Neha Saddique was just six-years-old when her father, Sajid Saddique, failed to return from a business meeting in Shipley on 14th February 2007. A lengthy inquiry began and, in 2014, police declared a murder investigation after information suggested someone could be responsible for his disappearance. Two men were arrested on suspicion of his murder, but released without charge in November last year after the Crown Prosecution Service ruled there was insufficient evidence against them to proceed. Neha, who is now 15-years-old, said: “It was devastating to learn that there was to be no prosecution for the death of my father, but we have never given up hope that we will find out the truth about what happened to him. “My father was a kind man who loved his family dearly and there is no way that he would have just gone and left us. “His loss hit us all very hard and we are desperate to find some answers as to why he suddenly disappeared. A statement from Sajid's brothers and sisters added: “Saj loved his family dearly and cemented us together with his love. We are now a broken family with no answers. “We have had to continue to live but our lives remain empty and we miss him every day. “We have had no answers to so many questions and Saj has not been laid to rest. “We can only plea with the public to come forward with information to put some closure as to what happened to our dearly loved brother. Sajid's brothers and sisters, along with a local businessman and family friend, have also put up rewards totalling £150,000 for information leading to a conviction in connection with Mr Saddique's disappearance. 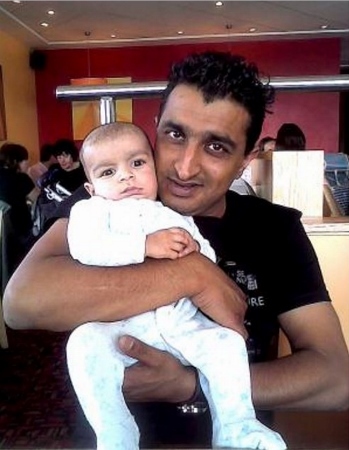 Detective Superintendent Simon Atkinson, who is leading the investigation, said: “Sajid disappeared from his family's life nine years ago and we strongly believe there is someone out there, probably in the local area, who can tell us more about how and why he suddenly vanished. “Nine years is a long time, but justice has no time limit and it is possible that people may now be in a better position to assist us. Anyone with information is asked to contact the Major Investigation Review Team on 01924 334619 or to report anonymously to the independent charity Crimestoppers on 0800 555 111. A Rochdale businessman, who pocketed nearly £1.25 million in two VAT repayment frauds, has been jailed for five years. Mubbashir Alam, 39, of Maldon Street in Greater Manchester, set up eight fake clothing companies in a deliberate attempt to claim false VAT repayments. Gemma Caffrey, 33, and Shabana Asim, 45, both also from Rochdale, helped Alam commit the fraud and fronted two of the fake businesses each. The group hijacked other people’s identities to conceal the ownership of many of the companies in an attempt to disguise their own involvement. When HMRC tax inspectors visited Alam’s premises in Rochdale, he tried to avoid arrest by persuading others to pretend to be the owners. The fake companies were described as manufacturing children’s clothing, dealing in large quantities of cloth and yarn and selling sewing machines. Between 2007 and 2010 the six fake companies were: Symran Concept Ltd, Protec Industries Ltd, Bond Trading, Maple Developments Uk Ltd, Fuzion Textiles and Future Fashions. The two fake companies Alam and Asim used for fraud were S1 Marketing Ltd and Tristian Industries Ltd. They created false invoices to reclaim £140,000 VAT on materials for the fictitious manufacture and sale of clothing. Alam and Caffrey pleaded guilty to all charges in July 2014, Alam was sentenced to five years jail and Caffrey to six months imprisonment at Manchester Crown Court on Tuesday 18 November. Asim pleaded guilty and will be sentenced in December. His Honour Judge Rudland said that Alam “carefully planned a diligent and sustained fraud on the public revenue” and Caffrey, “whilst not a part of the planning process was an essential cog in the machinery”. HHH Rudland reserved comment on Asim until her sentencing date. Sandra Smith, Assistant Director, Criminal Investigation, HMRC, said: “Alam went to great lengths over several years to distance himself from the fake companies he set up to commit the fraud. He stole a substantial sum of public money to line his own pockets. The troubled Co-operative group has agreed a deal in which it will sell its pharmacy business for £620 million to the Bestway Group. The transaction is due to complete in October 2014, following the fulfillment of a number of required steps to separate the Pharmacy business from the Co-operative. Bestway is UK’s second largest independent Cash & Carry operator and eighteenth largest privately owned company, started by Sir Anwar Pervez in London in 1976. Today, the Bestway Group stands as the world’s seventh largest family-owned business with a turnover of £2.52billion. The agreement follows a formal sale process initiated by the Co-operative reflecting its decision that the pharmacy business was not part of its future strategy. Last year the Co-op bank discovered they had a £1.5billion gap in its finances. The net proceeds of the sale will be used to reduce the Cooperative’s debt and invest in its core businesses. The Bestway Group stands as Pakistan’s second largest cement producer and joint owners of Pakistan’s second largest private bank with assets under management of just under US$10.3billion. United Bank Ltd (UBL) has a branch network of over 1,400 branches serving over five million customers. With this new acquisition, Bestway will have an annual turnover of approximately £3.4 billion and a global workforce of more than 32,600 people, with over 11,900 people from the UK. Bestway has built up a successful global business over 40 years by investing in and connecting with the communities it serves. The philanthropic arm of the group, the Bestway Foundation, annually donates 2.5 per cent of its post-tax profits to social projects in the countries in which it operates. 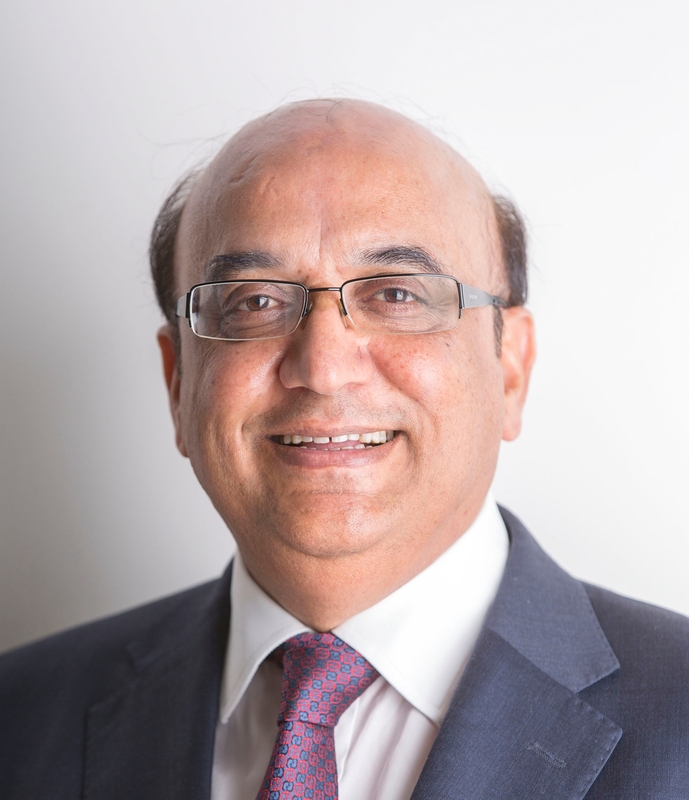 Zameer M. Choudrey, Bestway Group Chief Executive, said: “We are delighted to be bringing the Co-operative Pharmacy business into the Bestway family, adding to our growing and diverse business portfolio. “The Co-operative Pharmacy is a strong, competitive business, operating in a sector where demographic trends show an increasing demand for healthcare services amongst the wider community. “We see great potential to grow the business organically and through future acquisitions.